The Dragon 64 Home computer was launched by Dragon Data Limited of Wales in August 1984 as an upgraded version of the Dragon 32. The computer was based on the Motorola MC6809E processor running at 0.89 MHz, with built in Microsoft BASIC and the ability to load software either from cassette or through the built in cartridge slot. It differed from the Dragon 32 only in that it included an RS-232 serial port and 64K RAM (instead of 32K). It was also light grey in colour, compared to the beige colour of the Dragon 32. To ensure compatability with existing software, the Dragon 64 booted by default into Dragon 32 BASIC, which was still limited to 24K of memory (plus the 8K screen memory). However, you could also switch to Dragon 64 BASIC which allowed the programmer access to 48K of memory (16K was taken up by the BASIC itself). The processor was an advanced 8-bit CPU design, having, among other things limited 16-bit capabilities. In terms of raw computational power, the Dragon beat most of its contemporary rivals based on the older MOS Technology 6502, and the built-in cartridge slot, with instant loading of games, should have put it head and shoulders above the competition. Unfortunately, like its pre-decessor, the Dragon 64 was let down by its limited graphis capabilities - with the highest resolution display being 256x192 pixels in 4 colours, which impacted on the attractiveness of the system for games players. There were striking similarities between the Dragon and the TRS-80 Coco, both being based on a Motorola data sheet design for the MC6883 SAM chip for memory management and peripheral control. The systems were sufficiently similar that a significant fraction of the compiled software produced for one machine would happily run on the other. Software running via the built-in Microsoft BASIC interpreters also had a high level of compatibility, but only after they were re-tokenized (which could be achieved fairly easily by transferring via cassette tape with appropriate options). 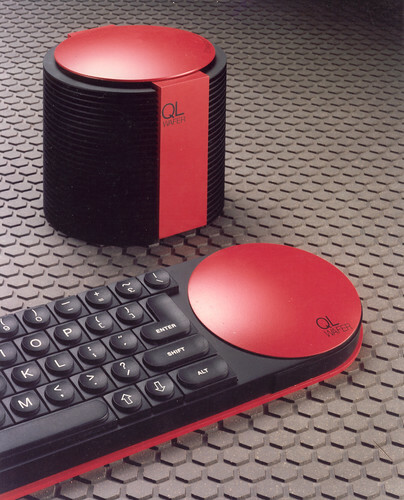 A broad range of peripherals exist for the Dragon 64, and on top of this there are add-ons such as the Dragon's Claw which give the Dragons access to the BBC Micro's large range of accessories (a particularly important factor in the UK home market). 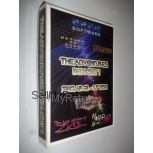 A disk operating system, DragonDOS was supplied as part of the disk controller interface from Dragon Data Ltd. In addition to the DragonDOS disk operating system, the Dragon 64 is capable of running several others, including FLEX, and even OS-9 which brought UNIX-like multitasking to the platform. When problems hit Dragon Data Limited in 1984, the company and rights to the computer were purchased by Eurohard in Spain, who continued promoting the Dragon until they went out of business in 1987. TANO also produced a version of the Dragon 64 under license for the US market. with NTSC video circuits in an off white coloured case. The power button on the rear was replaced with a channel 3/4 selector for the american TV market.